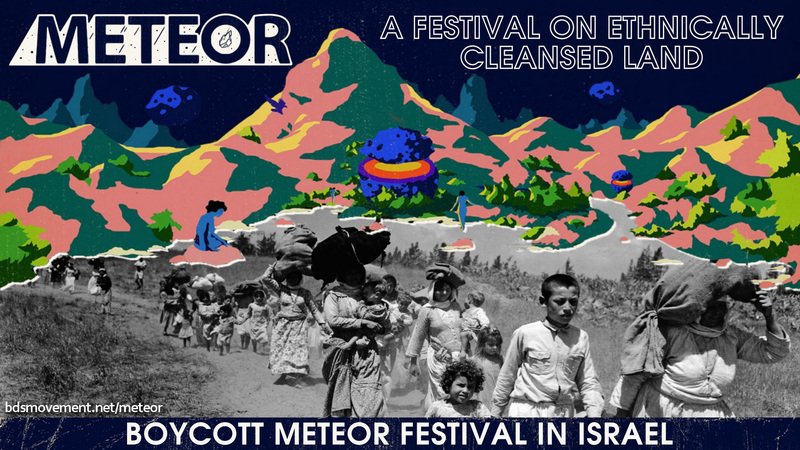 Since 2004, Palestinian artists and cultural organizations have urged their international colleagues not to perform in Israel as long as it continues to violate Palestinian human rights with impunity. Artists played an important role in isolating Apartheid South Africa by refusing to play in Sun City. Today, thousands of artistsacross the world support the Palestinian boycott call or have respected our nonviolent picket line, including Lorde, Ms Lauryn Hill, Thurston Moore, Shakira, Wolf Alice, Chuck D, Portishead, Brian Eno and Young Fathers. This entry was posted in Campaigns, Take Action, Uncategorized on August 16, 2018 by cbcjpi.